Celebrated in May and June, Honouring Memories, Planting Dreams invites individuals and organizations to join in reconciliation by planting heart gardens in their communities. Heart gardens honour residential school survivors and their families, as well as the legacy of the Truth and Reconciliation Commission of Canada. Each heart represents the memory of a child lost to the residential school system, and the act of planting represents that individual’s commitment to finding their place in reconciliation. In 2017, more than 4500 hearts were planted in gardens across Canada. 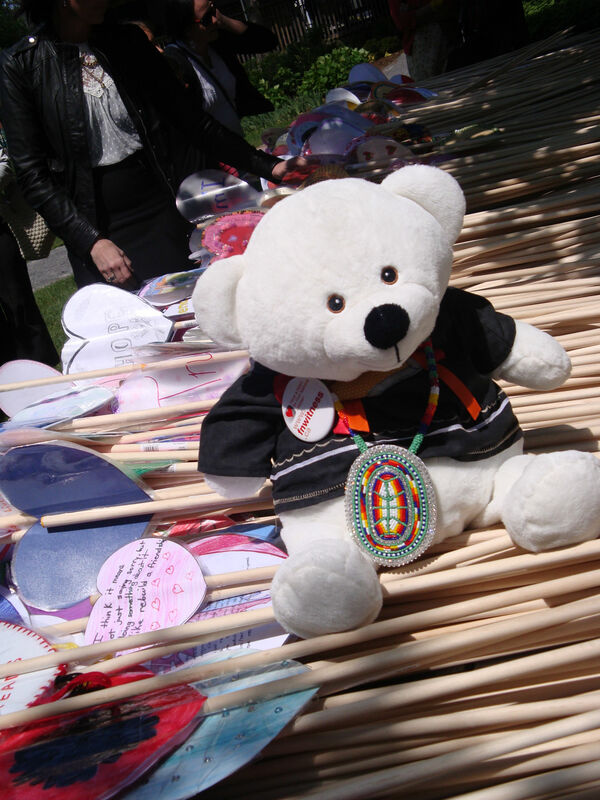 The inaugural Honouring Memories, Planting Dreams event took place at Rideau Hall as part of the Truth and Reconciliation Commission of Canada’s closing ceremonies on June 3, 2015. In support of the main event, individuals and organizations across Canada planted more than 6,000 hearts in over 80 heart gardens. For more information on Honouring Memories Planting Dreams, visit the FAQ page here. NEW! Honouring Memories, Planting Dreams Colouring Sheet - Click here to download or see PDF below.